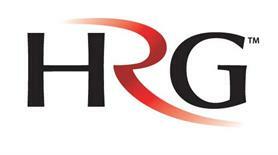 Cairn Energy has awarded a contract to Hogg Robinson Group (HRG) to handle its corporate travel programme. The oil and gas exploration company has briefed HRG to devise a more efficient travel scheme. The programme will use HRG Online, which is aimed at making it easier for travel to be booked within Cairn’s travel policy, and HRG Trip Pass, which will be used to approve ‘out of policy’ travel spend requests. James Stevenson, HRG’s director of global sales, said: "The team at HRG has significant experience in the oil and gas sector, which makes us ideally suited to delivering a programme which is tailored to Cairn’s needs. Our dedicated team in Edinburgh provides Cairn with the reassurance of a local contact, while our global presence ensures we can deliver any international challenges." Murdo Mackay, Cairn Energy’s head of HR and facilities, added: "When we approached HRG we were impressed by their combination of innovative technology and excellent service. "The system that they have created for us gives me the confidence that we have the right balance of simplicity, control and flexibility to match our growing travel requirements."